Association of Quantity Surveyors, Technical Architects and Building Engineers of Barcelona-CAATEEB), together with the BIM Academy, is organizing a exclusive seminar on Building Information Modeling in Barcelona, Spain commencing from February 2015 on 12th and 13th. 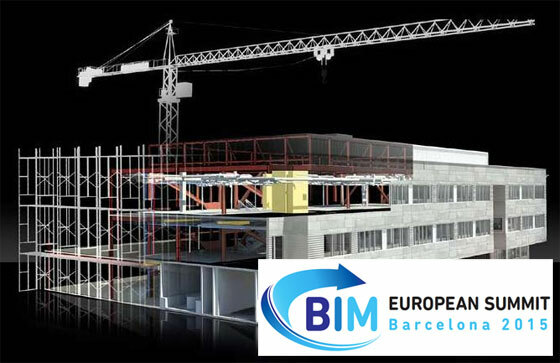 The BIM conference will comprise of complete sessions of talks, practicums, visits, new services and new companies all featured on BIM, as well as 3 top-level speakers each session, standard case studies and workshops about applications (contractors, software…).The presentations are available in English and Spanish with instantaneous translation facility. The motto of this seminar is to organize attendees from each European country in all the sectors associated with the building life cycle which range from BIM software and product industry, manufacturers and producers as well as associations, managers, consultants, professionals.